DGVS is a Dutch Acronym for Paperless Goods Movement Tracking System. This system allows companies With a customs RTO (Temporary Storage) license to transport and store goods without documentation. Any companies with a DGVS/ RTO license. These include forwarders, transport companies and handling agents. •	An NCTS (Transit) declaration is no longer required for the transport of goods under Customs supervision. •	Movements of goods are visible to users and customs authorities. •	Entries (input and take in transactions) and removals (output and take out transactions)are reported from the company’s own Warehouse Management System; results are displayed in the DGVS Web application. •	Monitoring of incorrect entry and removal information. •	Corrections can be made up to the date of the report to the Customs authorities. •	The Customs authorities later check the accounts; no delays in the process. •	A faster, simplified process. To use this facility, you require a RTO License, which is issued by the Customs authorities. You can report the transport movements to DGVS from your own system. Cargonaut provides access to the Web application in which your reports are displayed as transactions. In addition to a list of transactions, you have a list of your stock and mismatches – a mismatch is a discrepancy between an entry and a removal. DVGS checks whether the reference, number of units, and customs status are the same. See also the website of ACN Air Cargo Netherlands. The Export Control System (ECS) allows the Customs authorities to check and confirm if goods designated for export are actually departing the European Union. Cargonaut ensures that clients can communicate with ECS smoothly and efficiently. Exporters, forwarding agents or other parties acting as ‘Traders at Exit’. Declaration of the goods at the location of exit allows the original export declaration to be cleared after several ECS reports. This means that the declarant does not need to pay VAT on goods that have been shipped from the European Union. For ECS, Cargonaut has an intelligent hub function that collects and integrates messages and data from users and converts them into Customs ECS messages. Clients can send EDI messages to Cargonaut or use the ECS Web Portal. Cargonaut handles the entire ECS air cargo process for the Schiphol. You have three options for reporting air cargo shipments to Cargonaut. The ‘Trader at Exit’ generates the ‘Arrival at Exit’ message once the goods have reached the final office of exit. At Schiphol Airport, the last location of exit has been established as being the location of delivery to the handling agent; the Trader at Exit is the exporting party or the latter’s transport company/forwarding agent. 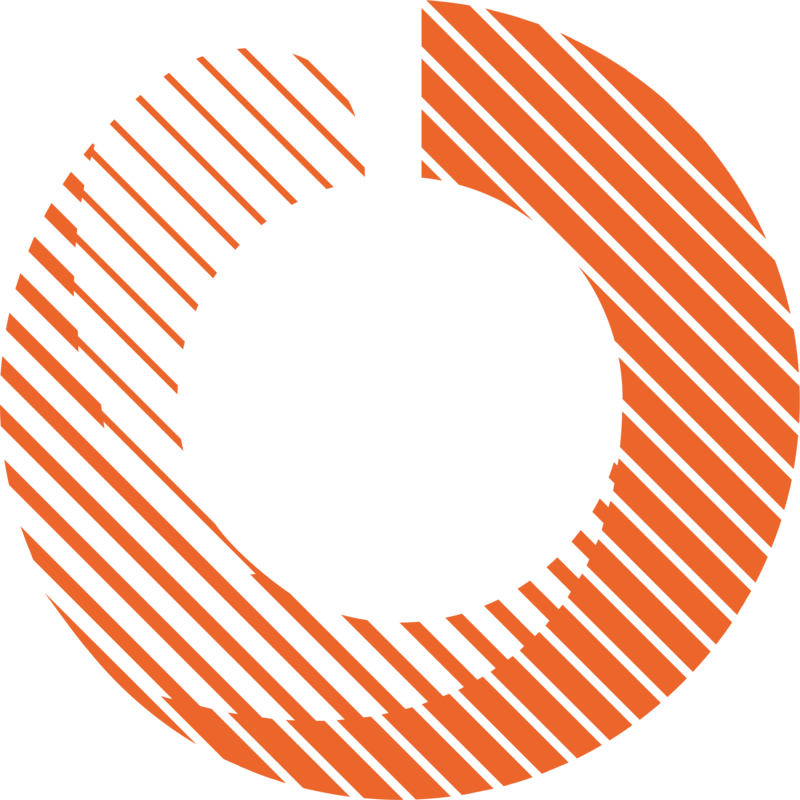 Option 1, via DGVS: DGVS is the Paperless Goods Movement Tracking System, which registers and tracks transport between companies with a RTO (temporary storage). The DGVS user completes a registration transaction, specifying the MRN (= movement reference number) of the export or NCTS declaration. When received the take out transaction, Cargonaut generates the Arrival-at-Exit message. Option 2, through a Notification of Export message: The client sends an EDI Notification of Export to Cargonaut, specifying the MRNs and Air Waybill numbers corresponding to the export declaration or NCTS declaration. The client can send the Arrival-at-Exit message to ECS directly, or, alternatively, it can instruct Cargonaut to do so based on the Notification of Export message. Option 3, through the ECS Web Portal: Via the Cargonaut Web Portal, the client reports the MRNs and Air Waybill numbers corresponding to the export declaration or NCTS declaration. The client can send the Arrival-at-Exit message to ECS directly, or, alternatively, it can instruct Cargonaut to do so on its behalf. Once Cargonaut has received the MRNs and air waybill numbers from the declarant or forwarding agent, it is still not possible to prepare an ECS manifest; for this purpose, we also require the export air cargo manifests from the handling agents at Schiphol and the departure times of the planes. We then convert this data into an ECS manifest for the Customs authorities. The ECS system checks the ECS manifest and the MRN numbers of the declarations listed in the manifest. After the check, ECS sends a Confirmation of Exit, which the exporter can then use to show the zero VAT rate. We are currently working with ACN (Air Cargo Netherlands) to establish an export delivery procedure, as part of which the various players in the chain will be able to track the export delivery process. 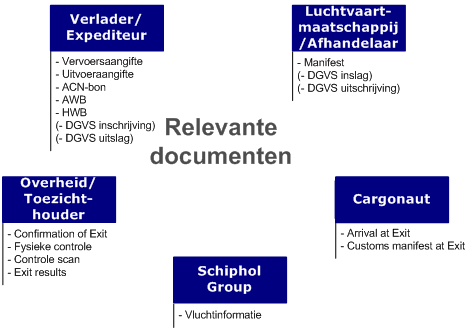 The export delivery procedure forms part of the Informatiemakelaar (Information Broker) project. Scanlog is an application that provides information on scan inspections conducted at Schiphol Airport. Incoming and outgoing cargo may be selected by the Customs authorities for a scan inspection. If this is the case, the handling agent transports the cargo to the location specified and collects it after the inspection is completed. The application processes and displays the messages exchanged between the Customs authorities and the handling agent. Scanlog is an application used by handling agents and the Customs authorities at Schiphol Airport. •	The Customs authorities and handling agents update each other on shipments to be scanned and scan results. •	Shipment information is available online, for both import and export shipments. •	The handling agents do not need to invest in the application or in message development themselves. •	Efficient handling of the inspection process, reducing delays to a minimum. The Customs authorities at Schiphol Airport have equipped the JIC (Joint Inspection Center) with X-ray equipment. This site is used to inspect air cargo containers and air cargo pallets using the X-ray equipment. The type of inspection, the result of the inspection, and the hours are recorded in the scanlog application. The handling agent can handle the shipments separately from the standard process and knows when to transport the shipments to the scanning site and when to collect them again. Fycolog is an application which informs you about the physical Customs checks on import shipments. Messages about selected shipments for inspection will be handled and shown in this application. Fycolog is an application for ground handlers and Customs at Schiphol airport. •	Customs and ground handlers inform each other about the physical checks of shipments and the results of the checks. •	Export shipment information is available online. •	Ground handlers do not have to invest in an application or message development. •	Efficient handling and inspection process, with a minimum chance of delays. Customs will inspect the selected shipments at the ground handlers premises. The sort of physical inspection, the result and time stamps are registered in Fycolog. • Your own software and a connection to Cargonaut allow you to access the CLIENT system. • You receive information on the inspection and release of your goods. • You can prepare a customs declaration once the goods are released. The e-Air Waybill is an electronic version of the printed air waybill, house waybill and consolidation list, and is part of the air cargo export process. The e-Air Waybill is designed for airlines who would like to operate and support a paperless export process. •	You receive the electronic documents (FWB and FHL) from Cargonaut of all connected freight forwarders and logistic service providers. Cargonaut also takes care of further distribution to your handling agent and Customs. •	Reduced probability of error as data is copied by the subsequent links in the logistics chain. •	Information is up to date and available at an early stage. •	The information can be used as a preliminary declaration for foreign customs authorities. •	You can help ensure a paperless chain. See the IATA e-Freight initiative. We check air waybills sent to Cargonaut for the correct format before we forward the messages to your system. E-Link supports and improves the export delivery process. The system allows the various parties to view and send the status of this process before, during an dafter the delivery of export shipments. E-Link is for ground handlers (the “intake” and “back office”), forwarders and truckers. What are the benefits for the forwarder/trucker? •	Re-use of information for more transparancy and reduce of errors. •	Real time status reports. •	Online information on customs controls and inspections before built up and loading of the goods in the truck. •	Faster handling at the ground handler, so more tranportations per day. •	Consistent with E-Freight and reducing paper document flows. What are the benefits for the ground handler? •	Planned delivery enables a more efficiënt handling. •	You know who will arrive, with which cargo and truck. •	Online information on customs controls and inspections before unloading. •	Optimalisation of internal business processes. •	Improves the safety of the freight processes. When accepting the export shipments, the handling agent sees whether the export declaration (Master Reference Number), ECS report, DGVS result, Air Waybill and House Waybill are all present. Based on this information, the handling agent then decides whether it will accept the shipment or whether adjustments/additions are required. Furthermore, the system indicates whether the Customs authorities perform an inspection (ECS notification of inspection). Following delivery, forwarding agents and handling agents can track further progress (ECS manifest outgoing, confirmation or exit) through the system. In combination with the ACN pass the shipment can be linked to a truck and driver. This means an automated entrance control at the handler and automated registration of shipment transfer. •	The DGVS indicator: is the DGVS procedure properly completed. •	The ECS indicator: are the ECS formalities completed. geeft weer of aan alle ECS formaliteiten is voldaan. •	The Customs indicator: are there control messages from Customs, than the shipment will be treated separately by the ground handler. •	The Security indicator: indication if security details are present. •	The Paperless indicator: indication about the paperless status of a shipment. •	The forwarder creates via E-Link a part ride or visit for the shipment, which is ready for export. •	The truck and the ACN pass of the driver is linked by SmartLOXS desk-VIEWER at the location of the forwarder. •	The forwarder creates a ride or trip, with one or more partial rides (visits) for all shipments for this truck and driver to be delivered to one or more handlers. •	A pre announcement is sent to the handler. •	By offering the ACN pass at the handler’s gate the holder of the pass is known. Also the license plate of the truck is read automatically and Customs and E-Link status is checked. At the background also the relation between registered agent en known shipper is checked. A matrix sign directs the driver to the next process step. In case of a customs inspection the driver will be directed to an inspection location. •	After the identification of the driver the goods can be unloaded. •	After the unloading the driver and the warehouse supervisor both sign electronically for the transfer of the goods. This transfer, the date and time, the location and the persons involved are now registered and visible for forwarder and handler. •	If a shipment is rejected, E-Links shows the reason for rejection. For the use of eLink together with the use of ACN passes you will need additional services of SmartLOXS. We refer to the SmartLOXS Services product sheet. Snel controleren of de goederen aangenomen mogen worden. De e-Airwaybill is de elektronische variant van de documenten luchtvrachtbrief, huisluchtvrachtbrief en consolidatielijst, behorende bij de export van luchtvracht. De e-Airwaybill is voor expediteurs en logsitiek dienstverleners die de exportdocumenten voor het luchtvrachtvervoer opmaken. • U stuurt 1x de elektronische documenten naar Cargonaut. Cargonaut zorgt voor verdere distributie in de keten. • U voldoet aan de “ready for carriage” procedure van de afhandelaren. • Minder kans op fouten door overname van gegevens door de volgende schakels in de logistieke keten. • Informatie is vroegtijdig en actueel aanwezig. • Uw informatie kan als vooraanmelding voor de buitenlandse douane gebruikt worden. • U kunt meedoen aan het papierloos maken van de keten. Zie het e-Freight initiatief van IATA. U heeft software nodig voor het opmaken en elektronisch verzenden van de luchtvrachtbrief. De berichtenspecificaties zijn volgens de IATA richtlijnen. Een naar Cargonaut ingestuurde airwaybill bericht wordt door ons gecontroleerd op het juiste formaat en doorgestuurd naar de afhandelaar, de douane en waar mogelijk de luchtvaartmaatschappij. U kunt een bevestiging krijgen op ieder verzonden bericht. Voor meer informatie over Cargonaut of onze producten en diensten kunt u terecht op onze website of contact opnemen met onze verkoopmedewerkers. • De DGVS indicator om aan te geven of de DGVS-procedure bij de expediteur correct doorlopen is. • De ECS indicator geeft weer of aan alle ECS formaliteiten is voldaan. • De Customs indicator geeft aan of er controlemeldingen van de Douane zijn ontvangen. Als er controlemeldingen zijn, zal de afhandelaar de zending apart zetten voor controle. • Integraal overzicht van informatie-uitwisseling tussen partijen in de exportketen. • Status informatie voor de overdracht van de 2e naar de 1e linieloods. • Exit Notification meldingen voor ECS (export control system). • Exit Notification Alert informatie op volledigheid AWB van alle onderliggende HWB’s. • Digitale ACN-bon (PDF document). • Visualisatie Airwaybill en House Waybill. • Fysieke status 1e linie loods. eCargo Receipt ondersteunt en verbetert het export aanleverproces. Het systeem is een monitoring systeem voor partijen om voor, tijdens en na aanlevering van exportzendingen de status van dit proces te zien en te sturen. Op basis van de bestaande vastgelegde informatie kan de expediteur voor een aanlevering vaststellen of aan alle formaliteiten is voldaan. Het systeem haakt in op ontwikkelingen van horizontaal en verticaal douanetoezicht en e-Freight. In combinatie met de vrachtpas wordt dit product eLink genoemd. Zie hiervoor de productinformatie eLink. De web applicatie eCargo Receipt is voor afhandelaren (de “intake” balie en de “back office”) en expediteurs. Procesoptimalisatie van interne processen, zoals het aanname proces bij de afhandelaar. De applicatie maakt export zendinginformatie inzichtelijk die in een aantal andere systemen van Cargonaut beschikbaar is. Bij de acceptatie van exportzendingen ziet de afhandelaar of de exportaangifte (Master reference number), de ECS melding, DGVS uitslag, Airwaybill en House Waybill aanwezig zijn. De afhandelaar bepaalt dan op basis van deze informatie om de zending te accepteren, of dat er correcties/aanvullingen nodig zijn. Ook geeft het systeem aan of er sprake is van een controle door de Douane (controlemelding ECS). Na aanlevering kunnen expediteurs en afhandelaren het verdere verloop (ECS manifest uitgaan, confirmation of exit) zien. E-Link ondersteunt en verbetert het export aanleverproces. Het systeem maakt het mogelijk om voor, tijdens en na aanlevering van exportzendingen de status van dit proces te zien en te sturen. E-Link is voor afhandelaren (de “intake” balie en de “back office”) en expediteurs. Wat zijn de voordelen voor de expediteur? • Hergebruik van informatie zorgt voor meer transparantie en minder fouten. • Online informatie over douanecontroles en inspecties vóór opbouwen en laden van de goederen in de truck. • Snellere afhandeling bij de afhandelaar, dus kunnen er meer ritten per dag uitgevoerd worden. • Sluit aan bij e-Freight en vermindering van papierstromen. Wat zijn de voordelen voor de afhandelaar? • Geplande aanlevering maakt efficiëntere afhandeling mogelijk. • Weten wie er komt, met welke lading en welke truck. • Online informatie over douanecontroles en inspecties vóór lossen. • Optimalisatie van interne bedrijfsprocessen. • Verbetert de veiligheid van de vrachtprocessen. E-Link maakt export zendinginformatie inzichtelijk, die in een aantal andere systemen van Cargonaut beschikbaar is. Bij de acceptatie van exportzendingen ziet de afhandelaar of de exportaangifte (Master reference number), de ECS melding, DGVS uitslag, Airwaybill en House Waybill aanwezig zijn. De afhandelaar bepaalt dan op basis van deze informatie om de zending te accepteren, of dat er correcties/aanvullingen nodig zijn. Ook geeft het systeem aan of er sprake is van een controle door de Douane (controlemelding ECS). Na aanlevering kunnen expediteurs en afhandelaren het verdere verloop (ECS manifest uitgaan, confirmation of exit) zien. In combinatie met de ACN pas kan de lading gekoppeld worden aan de truck en de chauffeur. Dit betekent een automatische toegangscontrole bij de afhandelaar en het vastleggen van de ladingoverdracht. De basis is de luchtvrachtbrief of airwaybill. Informatie zoals house waybills, Master Reference Numbers van aangiften, vluchtgegevens worden aan de zending gekoppeld. • De Security indicator met veiligheidsgegevens. • De Paperless indicator over papierloze aanlevering. • De expediteur maakt via de E-Link web applicatie een deelrit of “visit” voor de zending die gereed is voor export. • De truck en de ACN pas van de chauffeur worden gekoppeld door middel van de SmartLOXS desk-VIEWER bij de expediteur. • De expediteur maakt een rit, een zogenaamde “trip”, met één of meer deelritten voor alle zendingen die met deze wagen en chauffeur aangeleverd worden bij één of meer afhandelaren. • Een voormelding van deze rit wordt naar de afhandelaar gestuurd. • Bij het aanbieden van de ACN pas bij de toegangspoort van de afhandelaar is bekend wie zich meldt. Tevens wordt het kenteken van de truck automatisch gelezen en de douanestatus in E-Link gecheckt. Op de achtergrond wordt ook de relatie tussen erkend agent en vaste vervoerder gecontroleerd. Via een matrixbord wordt de chauffeur naar de volgende processtap verwezen. Bij een douanecontrole wordt verwezen naar de inspectieplaats. • Na identificatie van de chauffeur door middel van de ACN pas kunnen de goederen gelost worden. • Na het lossen wordt door de chauffeur en de loodsmeester elektronisch getekend voor de ladingoverdracht door gebruik van de ACN pas in combinatie met een handscan van de chauffeur. De ladingoverdracht, het tijdstip, de locatie en de betrokken personen zijn nu geregistreerd en inzichtelijk voor de expediteur en afhandelaar. • Wordt een zending niet geaccepteerd dan laat E-Link zien wat er mis is. Voor het gebruik van eLink met gebruik van de ACN passen is aanvullende SmartLOXS dienstverlening nodig. Zie hiervoor Dienstverlening SmartLOXS. Voor vragen of problemen kunt u contact opnemen met onze Customer Care. 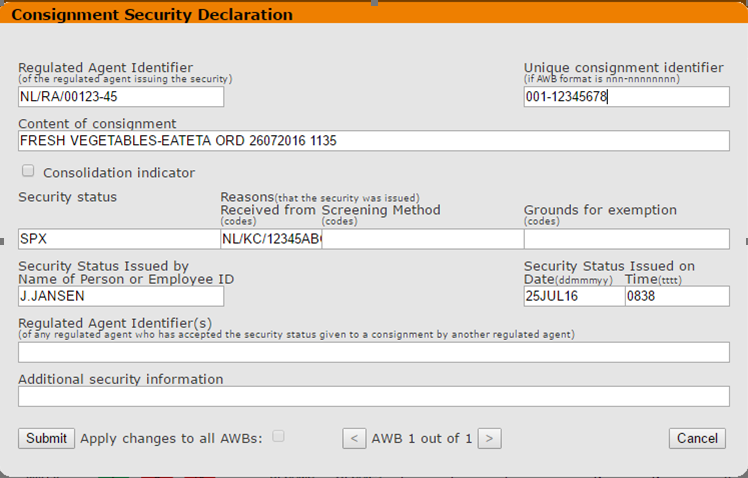 Aviation Security Assistant is een functionaliteit binnen eLink waarmee u de veiligheidsgegevens kunt opvoeren als u niet zelf beschikt over de elektronische AWB versie 16 of hoger. Op deze manier kunt u er toch voor zorgen dat de “AvSec”-indicator in eCargo Receipt de juiste veiligheidsstatus weergeeft en loopt u geen extra vertraging op bij de afhandelaar. Ook als uw zendingen pas na het insturen van de elektronische AWB worden gescreend, kan de veiligheidsstatus alsnog worden opgevoerd. Alle door de wetgeving vereiste componenten kunnen, zoals hieronder weergegeven, worden opgevoerd in het gebruikersscherm.